« What is God’s name? Is it OK to take oaths? 35 or by the earth, for it is the footstool of His feet, or by Jerusalem, for it is the city of the Great King. 36 Nor shall you make an oath by your head, for you cannot make one hair white or black. 37 But let your statement be, ‘Yes, yes’ or ‘No, no’; anything beyond these is of evil. In the Old Testament we read Abraham swearing to one of the inhabitants of Canaan. In the New Testament we read that Jesus forbade his disciples to swear. A serious Bible Contradiction? Let’s have a look. 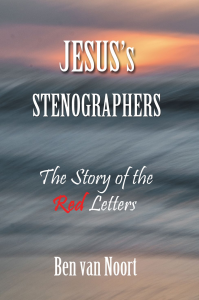 Jesus could have remained silent as He did before to avoid the oath; but he reacted loud and clear: Yes, He was. So practically he gave the oath: a testimony (of the truth) in court. From this we learn that Jesus did not permit his followers (disciples) to take oaths, of each other and of other people. His prescript of the new covenant was that oaths were not acceptable in the Kingdom of God. However He still accepted the oath in court to speak the truth (1 Peter 2:13). The ban on the oath in the New Testament is in both instances given as plural imperatives (by Jesus) to his disciples and (by James) to the brethren. And so it became a new moral standard inside the Church. – 1 It was a moral promise; to always be honest to Abimelech and his family. Not a material promise; to give an amount of money within a certain period of time; or to give one of his people as a bride to Abimelech or his son, or whichever. – 2 The name of God was used as the confirmation to the oath. Later on Moses gave the regulations for the oath to exclude impossible and speculative or undesirable oaths. It was only possible in the name of the God of Israel. Once an oath had been made, it had to be fulfilled. It was also possible to do an oath to the Lord. In the book Ecclesiastes (5:3-4) is the remark that it is better to not promise, than to promise and not fulfil. All instances concerning swearing in the Old Testament touch one of these aspects and so it is not necessary to discuss them all in full. In Jesus’ days it was common practise to avoid the name of God, also in swearing. So one used to swear by the heaven, or the earth, or by Jerusalem etc. It was quite usual to break such an oath as it was ‘not against God’s holy name’. Jesus criticized it and warned his followers to avoid all the traps of swearing (impossible, speculative, undesirable oaths) by simply abolishing it in the Kingdom of God. So it only remained for the Christian in court to speak up the truth, just as Jesus had shown with his own example.